Make the wrapping part of the present. Give Wraps by Chewing the Cud, in San Francisco, are printed with soy-based ink on organic cotton. Shown: Give Cheer in persimmon ($16/28-in. square; chewingthecud.com). Stock up on 100% recycled papers by British Columbia’s Banquet Atelier & Workshop—these whim­sical prints won’t feel stale come January. Shown: Bouquet, with bluebells, red-hot poker, and other blooms ($4/19- by 27-in. sheet; banquetworkshop.com). 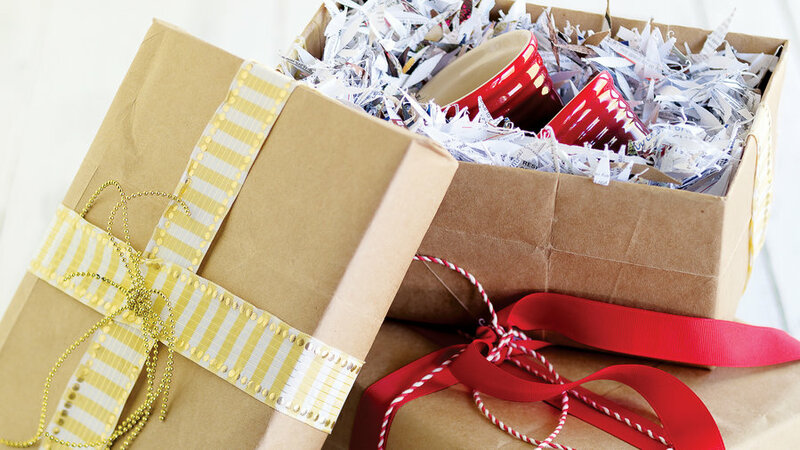 Recycle your own newspapers, magazine pages, or junk mail as gift wrap. Add a bit of greenery (here, rose hips and redwood sprigs) for color and a festive scent. 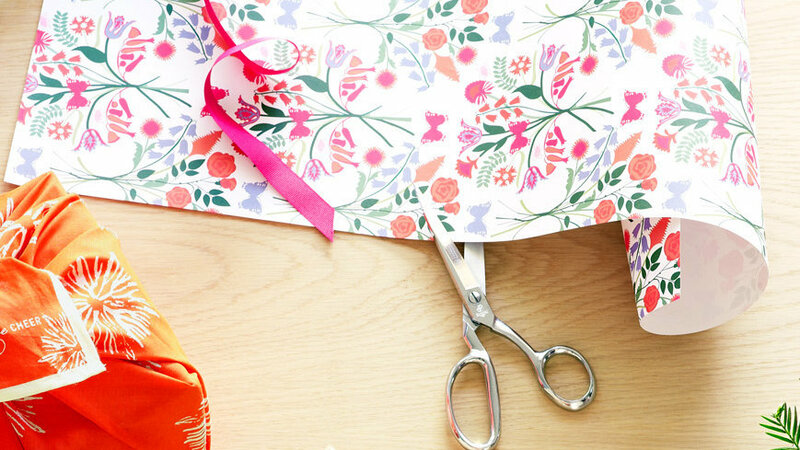 Style your own gift wrap with stamps and colored ink. Kraft paper from Blick Art Materials ($37/roll 1,000 ft. long and 2 ft. wide; dickblick.com). Pinecone (after one found in Yosemite) and dove stamp sets by Yellow Owl Workshop ($12/set; yellowowlworkshop.com). This material makes the perfect wrapping for small boxes. Look for sheets with large and colorful images, graphic prints, or old-fashioned black-and-white type. 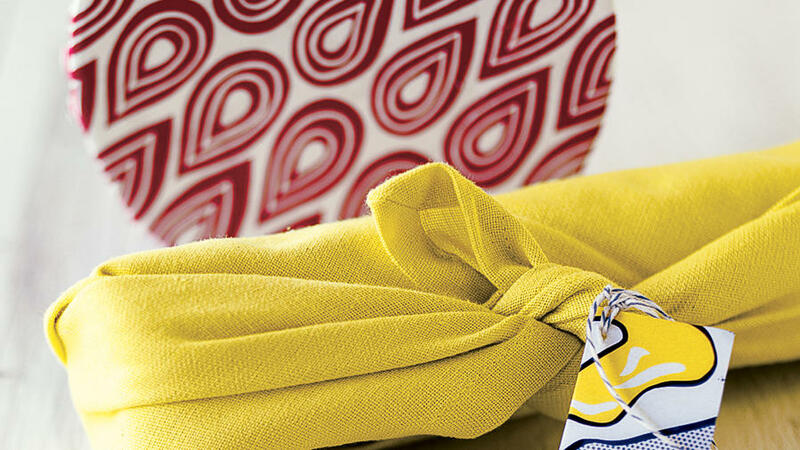 Use neatly pressed fabric remnants from sewing projects for soft or hard-to-wrap objects. 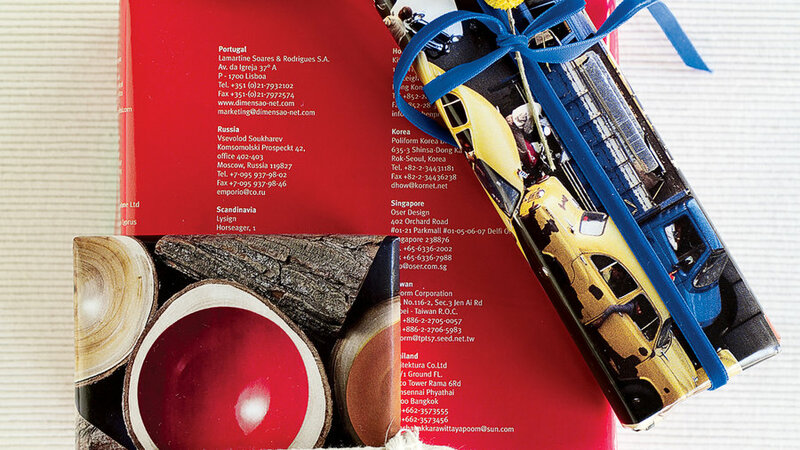 Cut, fold, and punch holes into pages from old calendars or prints to make gift tags. 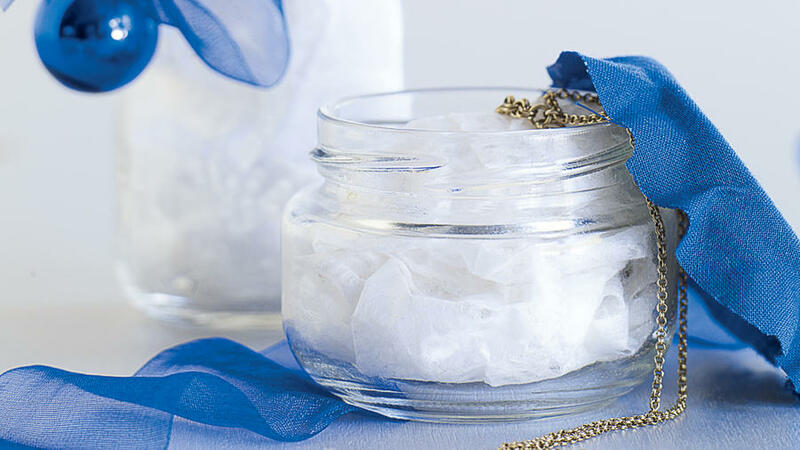 Reuse jam jars for items such as jewelry. Cover lids with fabric secured with glue. Shredded paper lines the inside of a shoe box covered with a paper grocery bag. 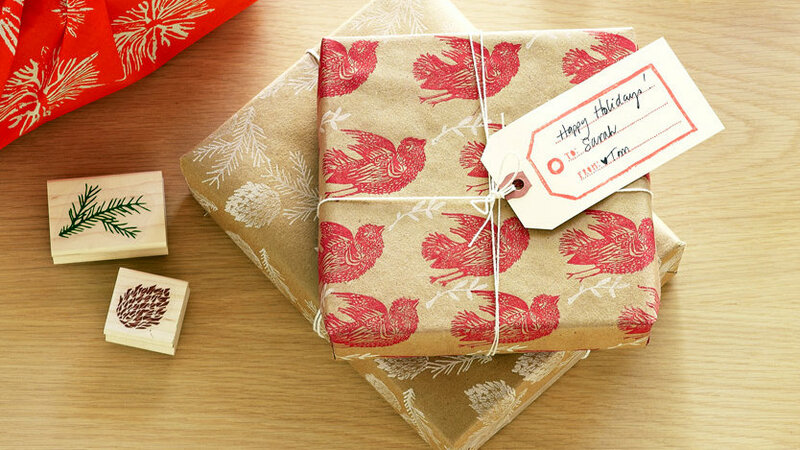 To dress up packages and add color, tie with vintage ribbon.